Not only do your leisure vehicles occupy valuable space, carting them around can be tiresome. Ideally located close to the Vaal river and Vaal dam we are a perfect location to store your boat, jet-ski, caravan and any leisure equipment taking up valuable space on your property. 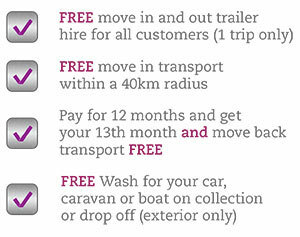 With our easy access, offloading and loading your leisure vehicles couldn’t be EASIER. Park and go 24/7, we couldn’t make it more simple.